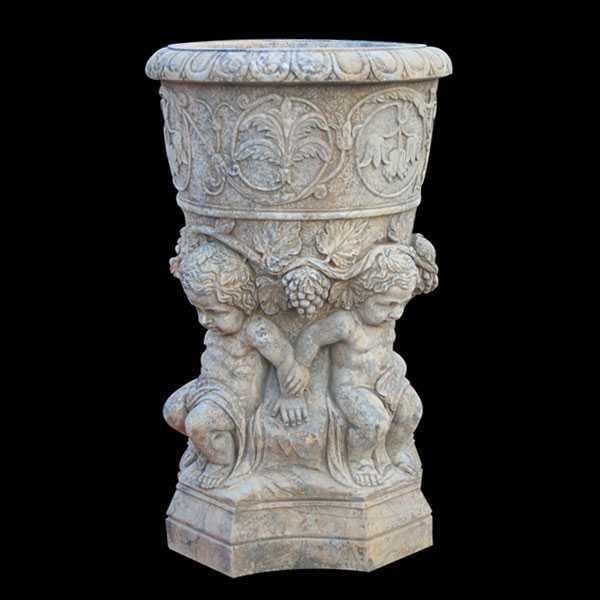 This majestic marble planter is made from peach and other warm tones of marble and displays exceptional artwork. 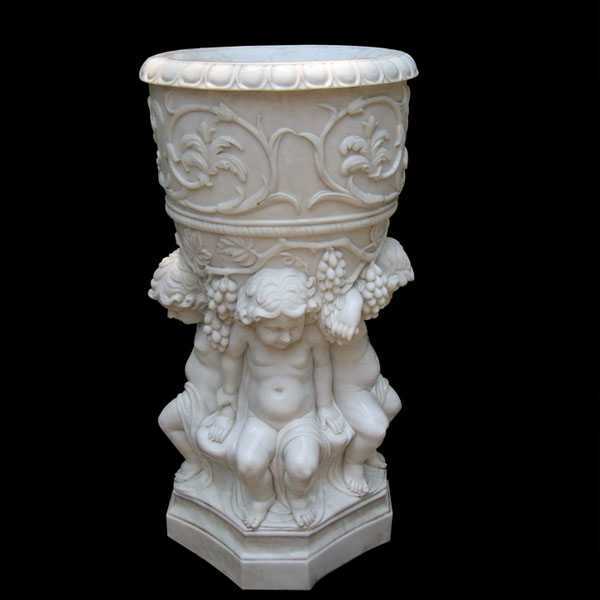 A deep bowl is adorned with lavish fruit grape and flower decor, with children shaped handles. 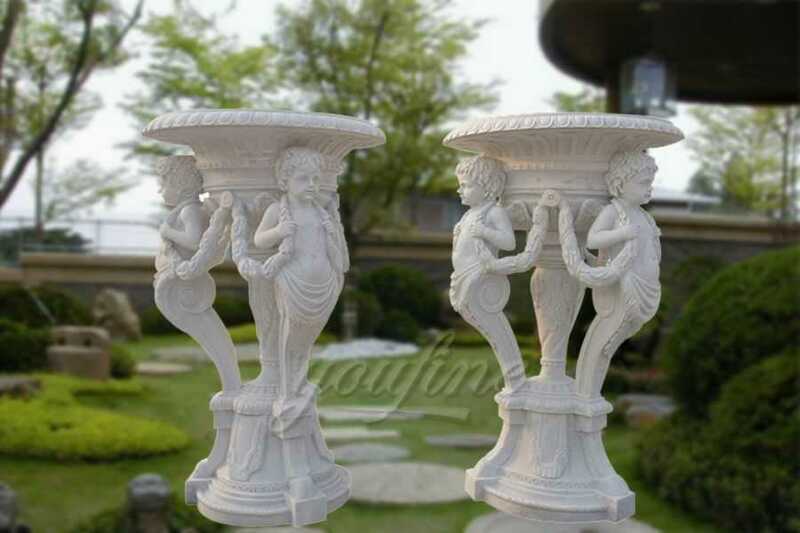 Plant your favorite flower inside and enjoy! 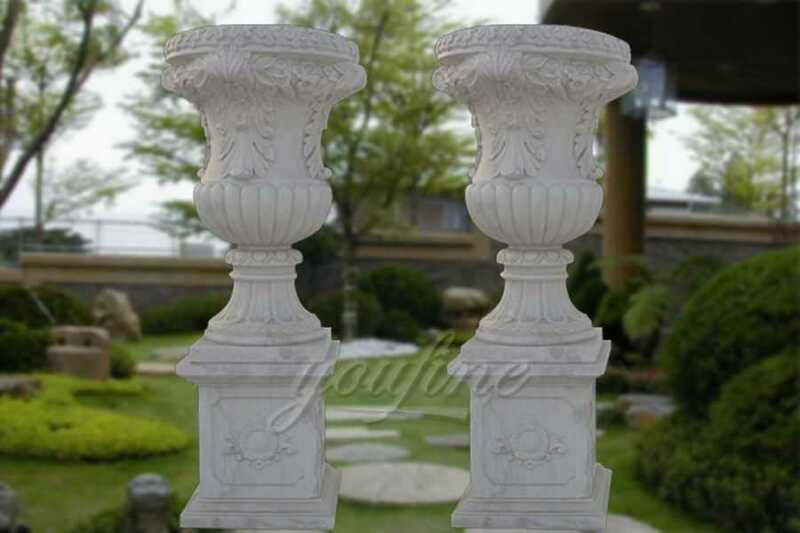 Marbles can be used for many architectural applications. However, we do suggest to avoid using it in certain areas. 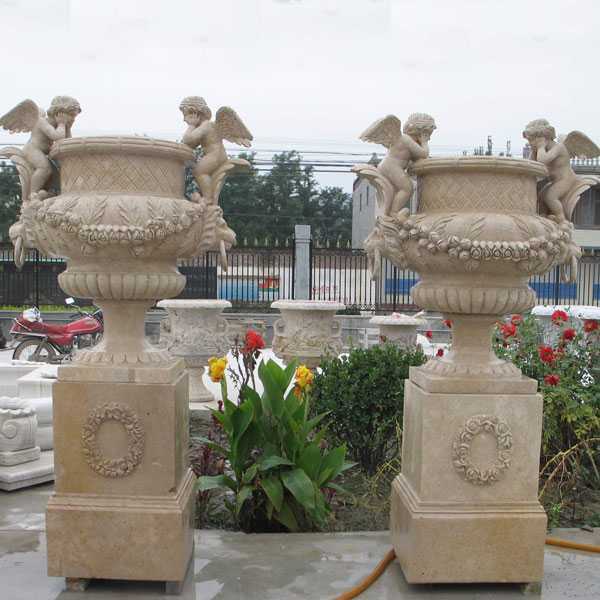 For example, as it is not very resistant to the heat, so using kitchen marble countertop may not be an ideal choice. 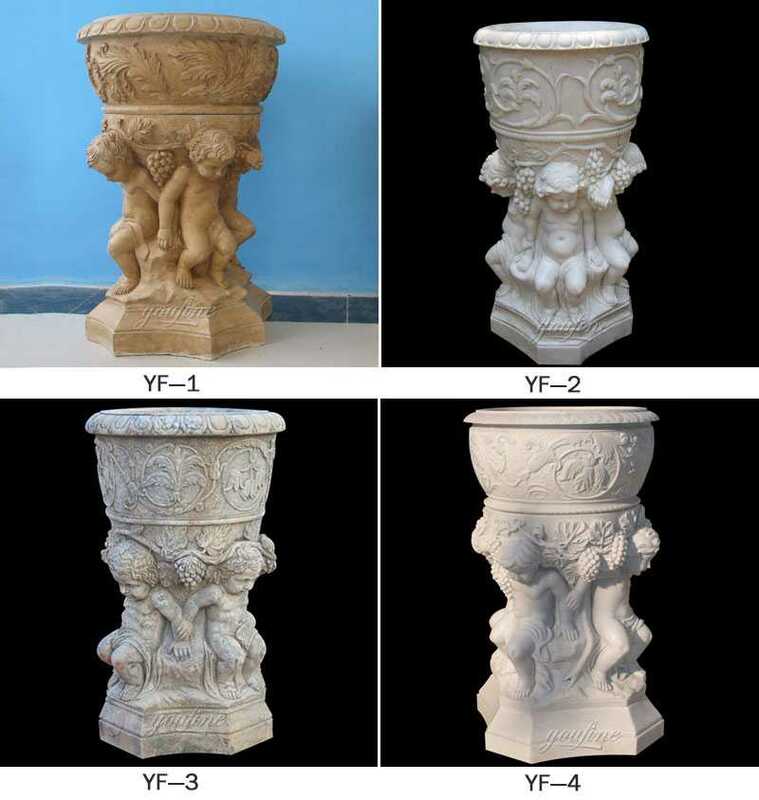 You Fine Art Sculpture fabricated marble supplies, to name a few, include marble stone moldings, special shaped marble stone boards, marble stone medallions and mosaics, marble kitchen vanity tiles, marble kitchen vanity countertops, marble stone table tops, marble stone tub surrounds and other marble custom shape fabrications. 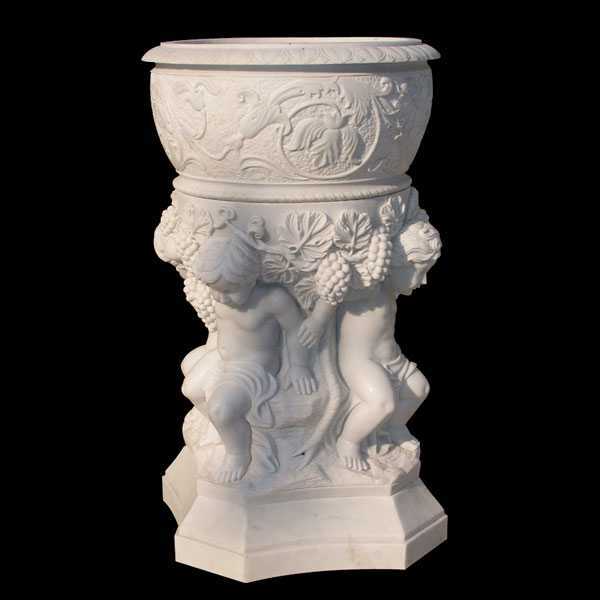 These finely carved 19th Century Marble Urns are very detailed. 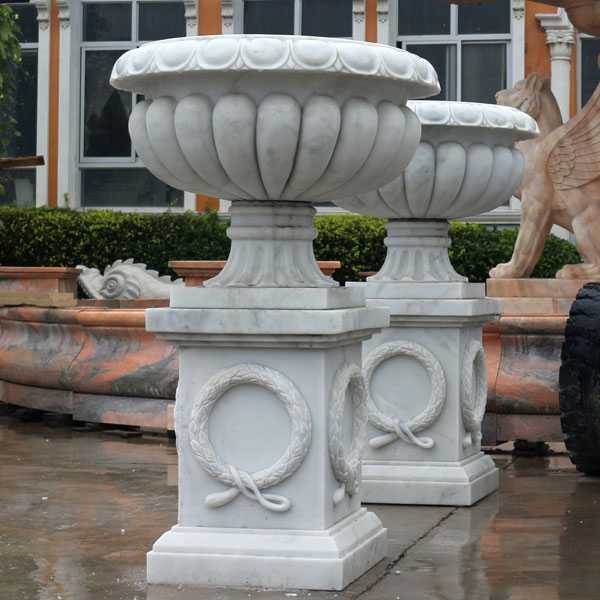 Featuring accanthus and shell motif detail throughout. 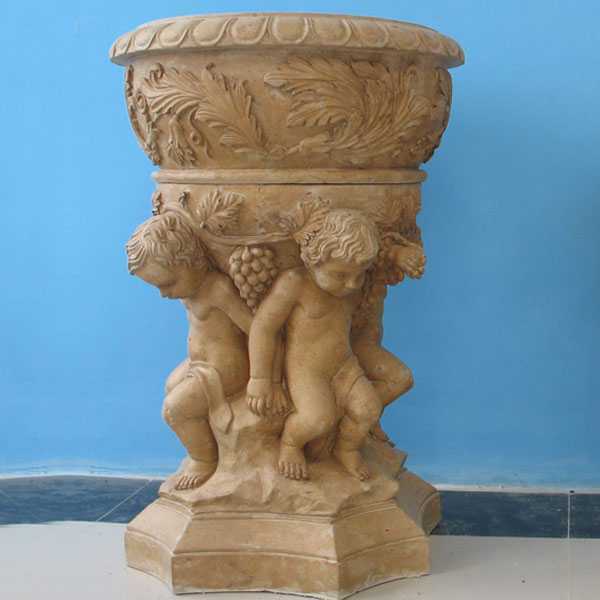 For More Style About Marble Planters,Contact With You Fine Art Sculpture,Leading Supplier of Marble Sculpture!